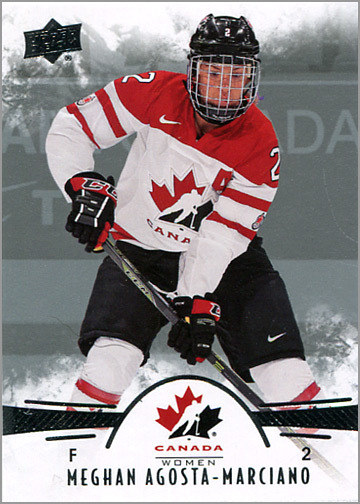 The 100-card base set is a mix of past and present Team Canada players, featuring 68 junior players, 22 women and 10 legends who went onto NHL stardom. Of the 59 cards that I got, none were doubles. 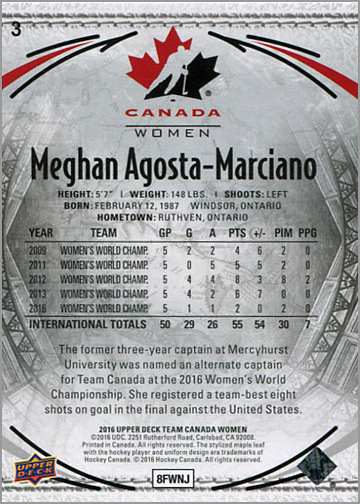 Including women hockey players was a great idea, as most of them don’t have any hockey cards, despite being either professional players and/or Olympians who won gold medals. 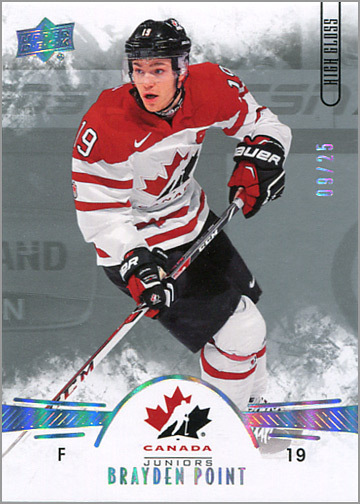 The 10 Legends cards are also a nice touch, as it is always fun to see your favorite NHL player in an international jersey. 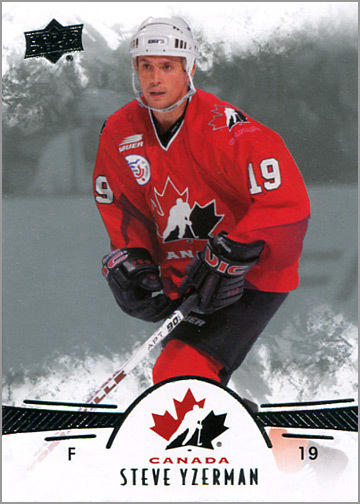 Unfortunately, the Legends cards — or at least the few that I got — use photos from either the World Cup of Hockey or the World Championships; it would have been great to see greats like Mario Lemieux and Steve Yzerman in a World Junior Championship game. Backs of the cards are a bit disappointing, as they give only five lines of statistics, even if more were needed. 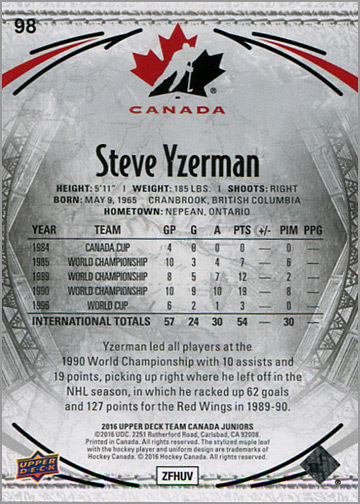 So, we don’t see Steve Yzerman as a junior player, nor do we get to see his stats from the WJC. 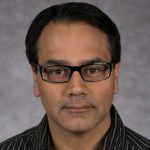 Olympic stats are also ignored completely, even if there is room for them. 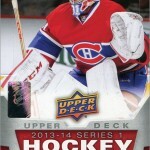 Cards 101 to 150 are jersey cards, and are numbered as part of the base set set. Here, I got jersey cards of Julien Gautier and Charline Labonte. 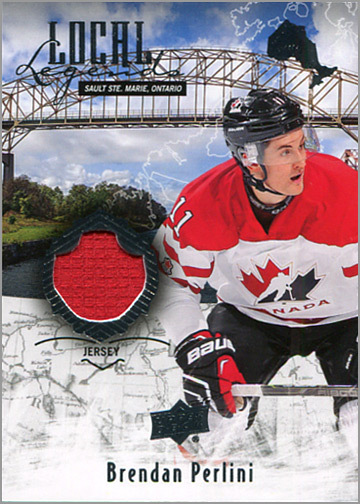 Autographed Jersey Patch cards use gold foil instead of silver foil, and are numbered out of 199. Unfortunately, the autograph is on a sticker that isn’t well-integrated into the design. Local Legends jersey cards use a photo of a player’s hometown as the background. That silver blob floating over Brendan Perlini is the province of Ontario. 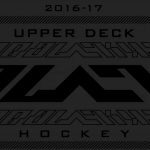 Of course an Upper Deck set s is going to have parallels. Gold Parallels fall five per box and swap out the silver foil for gold foil, as well as the silver background for a gold-colored background. You also get two numbered parallels per box. 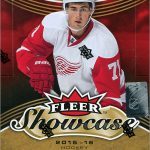 Red “Exclusive” Parallels are numbered out of 175. They do swap out the silver foil for red foil, but retain the silver background color. Call me crazy, but these “High Gloss” Parallels actually feel less glossy than the standard cards. They use a shiny rainbow foil instead of silver foil, and are numbered out of 25. 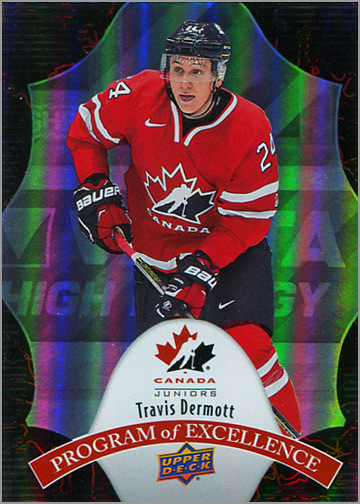 Program of Excellence inserts have a shiny, rainbow foil background. Program of Excellence Gold versions are found one in every 48 packs (that is, one in every three boxes). 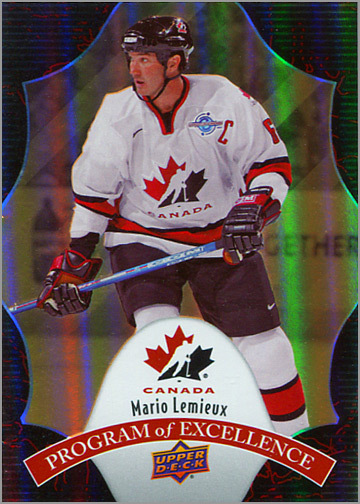 Here I got Mario Lemieux, playing in the 2004 World Cup of Hockey. 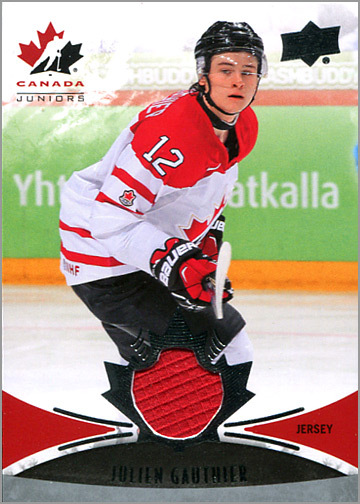 What I like about 2016 Team Canada Juniors: Four hits (either a jersey or autograph) per box. 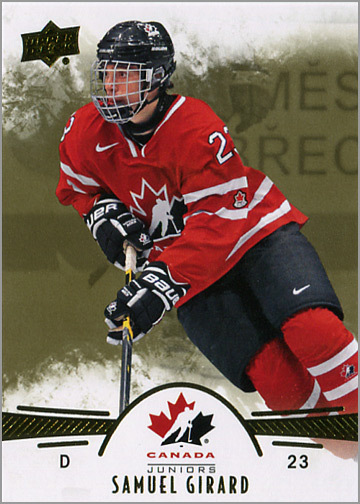 It is great to see some cards of women hockey players. 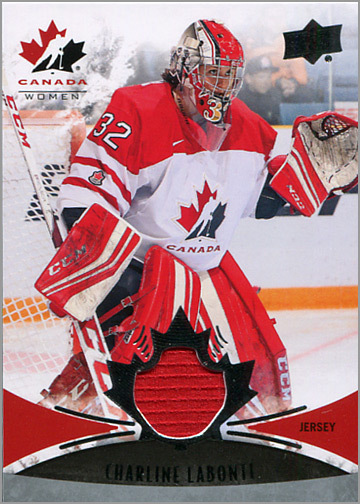 Cards of NHL legends wearing Team Canada uniforms are also cool. What I do not like about 2016 Team Canada Juniors: The lack of stats is frustrating, and the the omission of Olympic stats is inexcusable — especially for the women players. So is getting a “sticker-graph” instead of an on-card signature, considering that a box costs over $100. 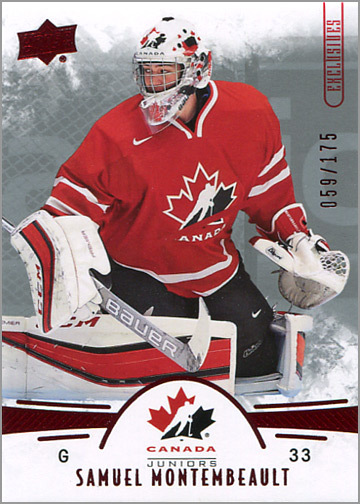 If you are patriotic and Canadian, you’ll probably give this set a higher rating than I did. 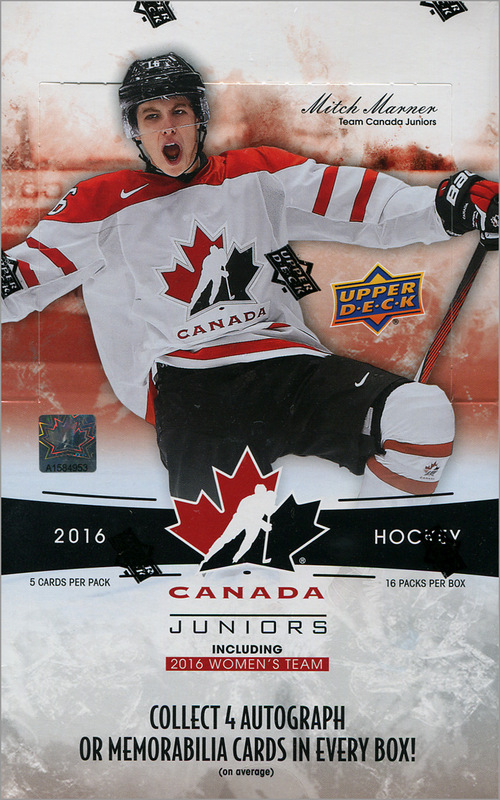 Still, 2016 Upper Deck Team Canada Juniors is overall a nice set. 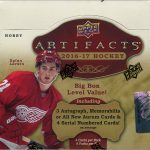 The design and quality are good, you get four hits per box, and adding women players and legends give the set some welcome variety. Of course, it is always fun to pull a jersey card or an autograph of a junior player and then see how their career pans out over the next few years.